Here at SkillsYouNeed, you'll find lots of information that can help you to understand and develop your leadership potential. There are a number of broad skill areas that are particularly important for leaders. These include strategic thinking, planning and delivery, people management, change management, communication, and persuasion and influencing. Perhaps the most important skill a leader needs—and what really distinguishes leaders from managers—is to be able to think strategically. This means, in simple terms, having an idea or vision of where you want to be and working to achieve that. For particular types of analysis that may be helpful in gathering information, see our pages on SWOT Analysis, PESTLE Analysis, Porter's Five Forces, The Boston Matrix and The Ansoff Matrix, The McKinsey 7 S Model of Organisational Alignment, Value Chain Analysis, Scenario Analysis, and Understanding Game Theory. Some strategic thinking skills are more specific: for example, in marketing, where you may find the 7 Ps and customer segmentation are vital tools. These areas are key management skills, but the best leaders will also be able to turn their hand to these. The best vision in the world is no good without the plan to turn it into reality. Alongside strategic thinking, therefore, go organising and action planning, both essential for delivery of your vision and strategy. Project management and project planning are also helpful skills for both managers and leaders. Good risk management is also important to help you avoid things going wrong, and manage when they do. Good leaders also often have very strong facilitation skills, to manage groups effectively. for more about these essential areas. There are a number of issues that new and existing managers commonly struggle with. For more about these, read our page on Avoiding Common Managerial Mistakes and Confidentiality in the Workplace. One particular element of change management is innovation. Good leaders know how to innovate, and also how to encourage innovation in others. Our page on Innovation Skills explains more. Finally, one particular area of communicating that is especially important for leaders is being able to persuade and influence others. Good leaders use a range of tools for this. For more, see our pages on Persuasion and Influencing, and Developing Persuasion Skills. There is more about this in our page on What is a Leader? Our page on ‘Leadership is not Management’ provides more discussion and ideas about this. Many people wonder if leadership can really be taught. People with vested interests (academics and those offering leadership training or literature of some sort) are convinced that it can. Many successful leaders, however, have never had any formal training. For them leadership is a state of mind, and it is their personalities and traits that make them successful leaders. There is, clearly, a balance to be struck between these two positions. There is no question that some people are intrinsically more drawn towards leadership roles than others. However, it would be nonsense to suggest—although this has been mooted in the past—that only people with certain physical or personal traits could lead. For example, it has clearly been proven that being male, or being tall, does not of itself make someone a better leader, although many leaders are both male and tall. See our page Leadership Trait Theory for more. It seems most likely that leadership requires certain skills. Some people will acquire these more easily than others. 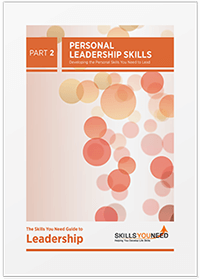 You can of course learn about effective leadership skills and practices but being able to implement them yourself may require an altogether different set of skills and attitudes. The question “Can leadership be taught?” has no simple answer and we do not want to argue for one side or the other, but rather keep an open mind on the subject and provide information about the skills good leaders need. Our page on Top Leadership Skills You Need may provide a useful starting point if you wish to develop your leadership skills. Take our quiz - What Sort of Leader are You? to discover which leadership styles you use and which may need further development. You may then want to see our page on Developing Your Leadership Style for more about how to improve the styles in which you are weaker. In the US as many as 55 million people work as freelancers (35% of the working population) contributing $1.4 trillion to the economy. It is predicted that freelancers will soon become the workforce majority. India, Canada, Australia and New Zealand also have large self-employed and freelance economies. For more about working for yourself, and how to develop the skills required, see our pages on Entrepreneurship, Self-Employment and Freelancing. There are, by definition, a huge number of skills that may be useful to leaders. The skills outlined here are perhaps the most important, but others may also be helpful. The best leaders know that they still have much to learn, and continue to try to develop a wide range of skills all the time. Browse our A-Z list of Leadership Skills for more ideas.